The Kingsbury, one of the finest five-star luxury hotels in Colombo, will partner Southeast Asia’s premier lifestyle destination CÉ LA VI to create a unique cutting-edge experience that captures the spirit of Asia. The Kingsbury invited CÉ LA VI Singapore’s Head Mixologist Din Hassan, a veteran from Singapore’s nightlife industry, to host an exclusive cocktail preview and tasting of the cocktail menu which will be available at the CÉ LA VI Restaurant and Lounge coming soon to Colombo. CÉ LA VI has a strong presence in some of the greatest nightlife capitals including Singapore, Hong King and St. Tropez. The brand’s newest location, CÉ LA VI Colombo, will be the first international luxury lifestyle, dining and entertainment brand to transform Colombo’s nightlife landscape and reshape the city’s cocktail culture. CÉ LA VI’s mixology program is tailored specifically for an outdoor oasis, featuring iconic rooftop locations and vistas. Well-known in the industry for his passion and knowledge when it comes to mixing the perfect drink, Din is regarded as someone who has shaped Singapore’s bar scene today. A true veteran of the industry with 20 years behind him, he has risen through the ranks from a bartender to being involved with Singapore hotspots such as Bar Stories. An experimenter by nature, Din conceptualises cocktails that deliver a multi-sensory experience, engaging the senses both visually and texturally with a focus on a seamless harmony of flavours. With an astounding line-up of drinks perfectly matched to Asian climates, and blended with exotic local ingredients and flavours, Din treated invitees to an evening of artfully curated cocktails which paid homage to Southeast Asian roots and showcased a number of signature drinks to celebrate the upcoming opening of CÉ LA VI Colombo. 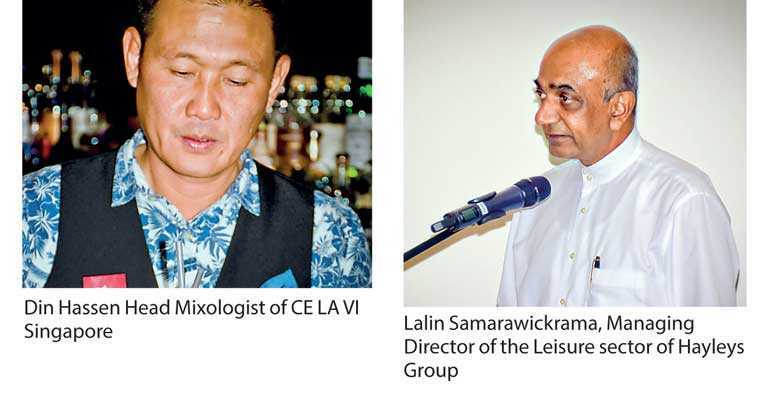 Invitees were given a glimpse into the making of the CÉ LA VI Colombo cocktail menu and were enthralled by Din as he curated his menu with a Sri Lankan twist. 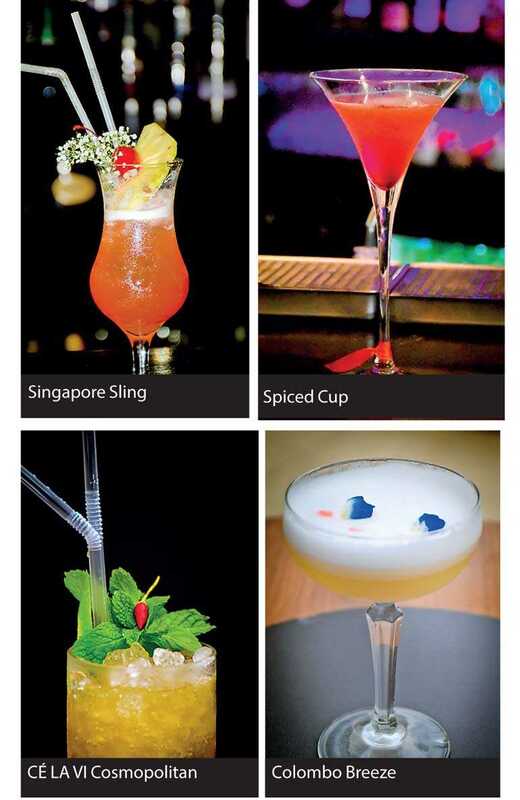 Some of the signature cocktail creations included the CÉ LA VI Cosmopolitan, Singapore Sling, Colombo Breeze and Spiced Cup.